Dropwizard is a sneaky way of making fast Java web applications. 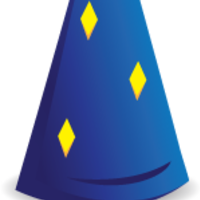 Dropwizard pulls together stable, mature libraries from the Java ecosystem into a simple, light-weight package that lets you focus on getting things done. Macaron is a modular web framework for Go with middlewares that allow you to easily plugin/unplugin features for your Macaron applications. Why do developers choose Dropwizard? Why do you like Dropwizard? Why do developers choose Macaron? Why do you like Macaron? What are the cons of using Dropwizard? What are the cons of using Macaron? What tools integrate with Dropwizard? What tools integrate with Macaron? What are some alternatives to .NET, Dropwizard, and Macaron?